I can’t tell you how long I have been searching for the perfect curtains for my kitchen. 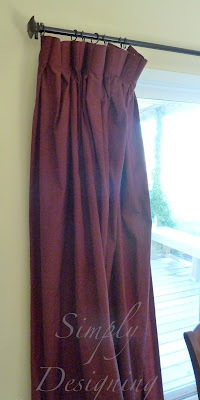 I have several issues that prevent me from purchasing any ‘ole curtains for this part of my house and so I have just resorted, for almost 2 years, to having red curtains, that once upon a time used to reside in our bedroom, in my kitchen. They were neither the color or style I wanted for my kitchen, but they got the job done. They were meant to only be temporary, but without spending $400+ for a single set of curtains, I just couldn’t find anything that I liked and that fit my requirements. Here is what made this window so difficult to curtain (can I use that as a verb!?) The main issue is that we get a TON of afternoon light in through this sliding glass door (ie it is a due west facing window so we get blazing hot bright sunlight beaming in through this window). I hate vertical blinds so we never put any up, thus I needed a curtain treatment that not only looked good, but that I could also pull shut during the late afternoon to block some of the direct sunlight and to keep our house cooler in the summer. Needing my curtains to pull all the way shut required window coverings that are wider then your typical pre-made curtain. And because they needed to keep a certain amount of light out, I needed either a heavy-weight fabric or lined curtains (or dark curtains, and I wanted to get away from dark colored curtains here.) I also wanted them to be 108″ tall. This combination of requirements severely limited my options and took me into a price range that rivals a big car payment. I even thought of making my own curtains, but I couldn’t find fabric that I loved, and unless I love it, I’m not gonna sew it. Until I found a set of curtains that sent my inspiration through the roof! 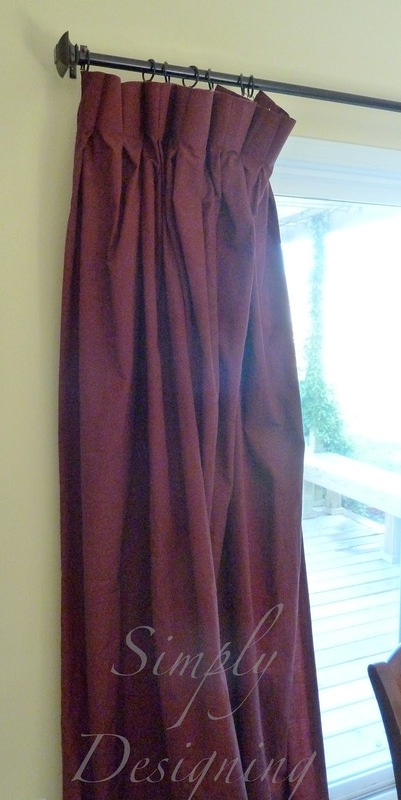 I found a gorgeous set of curtains that were “almost” right (except for ya know, the size and the color). But as soon as I saw those curtains I knew what I had to do. 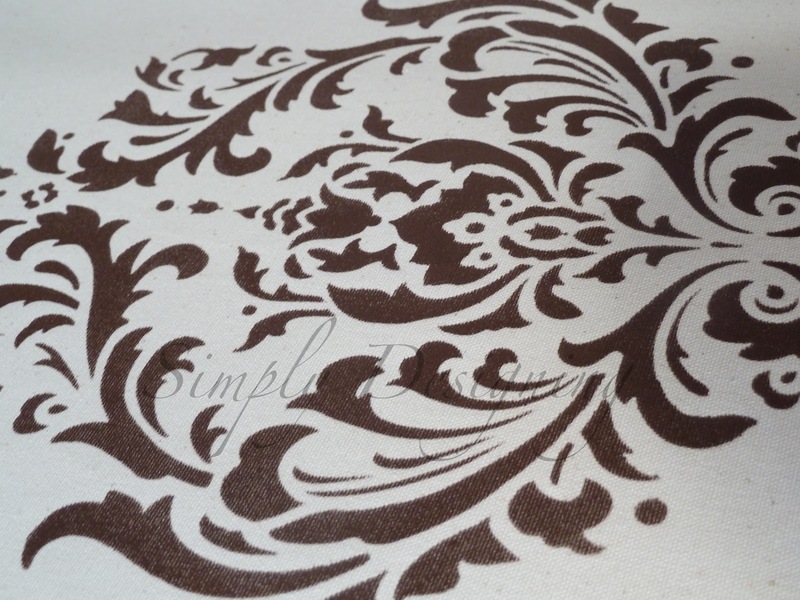 Cutting Edge Stencils is a wonderful company that offers a huge assortment of fabulous stencils! 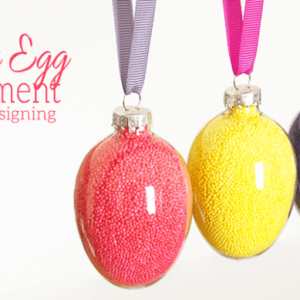 Their designs are current, up to date and range from traditional to modern designs! They have a great assortment of sizes to fit the tiniest spaces (like stenciling on furniture) to the largest walls imaginable! 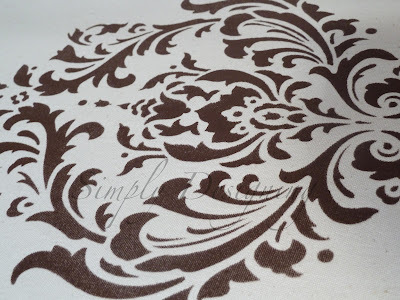 And Cutting Edge Stencils was kind enough to let me review one of their stencils! So I knew this would be the perfect opportunity to make myself some fabulous custom curtains for my kitchen!! 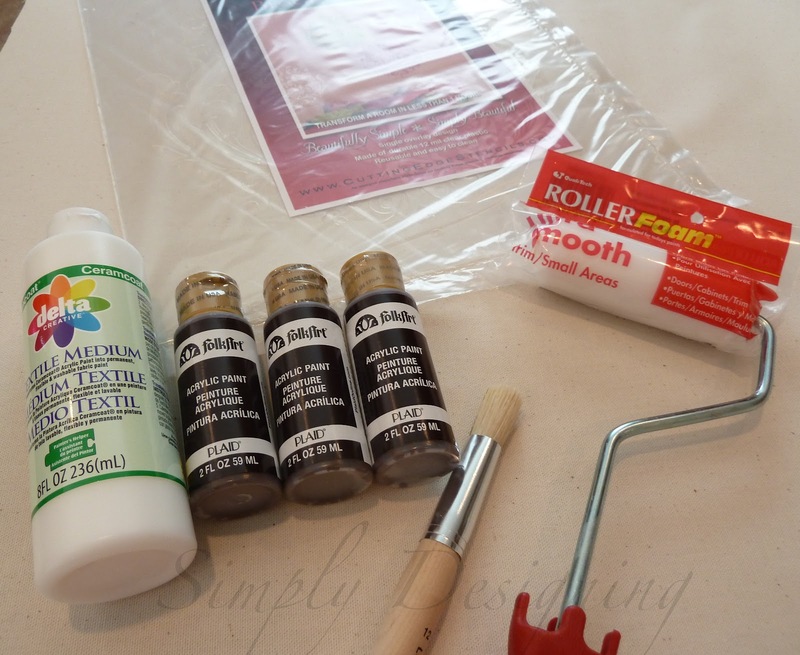 First I made sure I had all the supplies I needed: stencil, foam roller, acrylic paint, fabric medium and curtain fabric! Then I covered most of my kitchen floor with a paper tarp used for covering surfaces while painting. 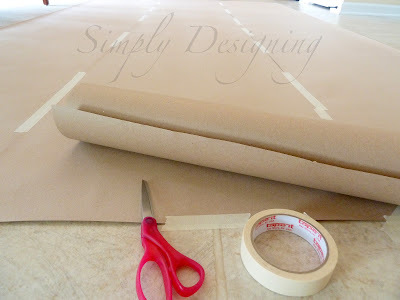 Then, getting excited to start my new project but a little anxious that I would ruin 7 yards of fabric…I watched Cutting Edge Stencils’ great video and realized how EASY stenciling really was!!! 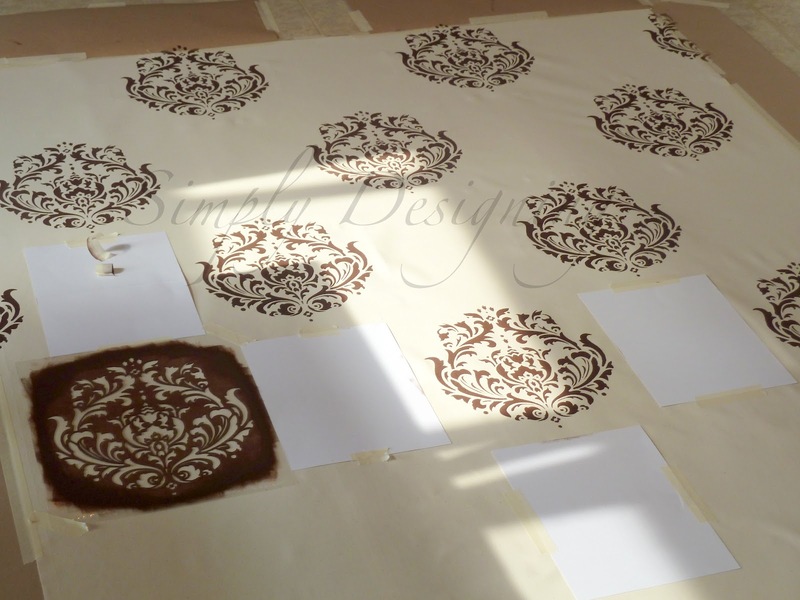 So I carefully laid my curtain fabric down, measured my center point and where I wanted my first stencil to be placed. I used masking tape to hold my fabric in place and painting tape and stencil adhesive on the back of my stencil to hold the stencil in place. I used a mixture of regular acrylic craft paint and fabric medium. 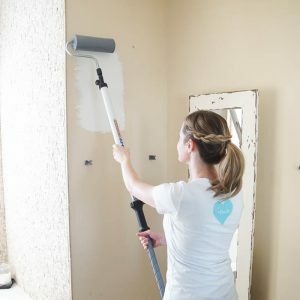 You can use fabric paint, but the color selection of fabric paint is not very large. So I decided to turn craft paint into fabric paint by adding fabric medium to it according to the ratios on the bottle. Oh…and since I wanted this design to be a pattern (although not touching) without needing to measure out where each stencil placement would be, I decided to use card stock as my measuring guide. So each stencil was basically placed horizontally 8.5″ apart from each other and vertically 11″ apart from each other. This kept the pattern predictable and easy to repeat without measuring – so SIMPLE! When you start stenciling, you will use light pressure and go over the area as many times as you need to get it as saturated as you like. You can always lift up the edge of the stencil to see how it is looking! When the first stencil is done, you can lift off the stencil, lay it right back down in a new spot, and repeat as many times as you need to! I was super impressed with my Cutting Edge Stencils stencil! 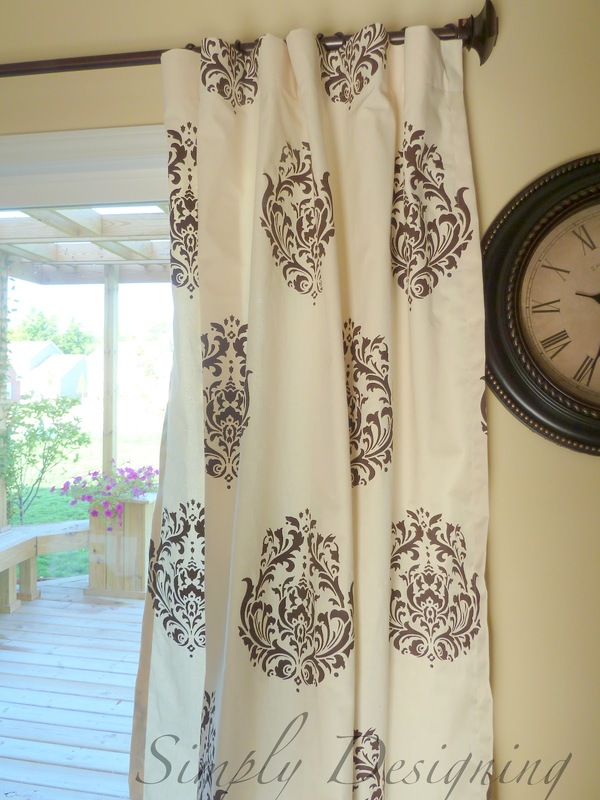 I was able to do an entire huge curtain panel without needing to wash my stencil! And the stencil is cut out of a thick enough material that even though there were many small pieces on the stencil, it never broke, tore or was damaged at all! I was able to use this stencil dozens of times and it is still in great condition! Stenciling two curtain panels took a little bit of time. It took about 2 hours of painting time per curtain panel. But I did a lot of designs on it and my curtains are huge! (54″ x 120″) But my results were amazing! I am completely amazed with how each stencil design looked so great! I never experienced any paint bleeding under the stencil and I was impressed with how perfectly each stencil design came out! 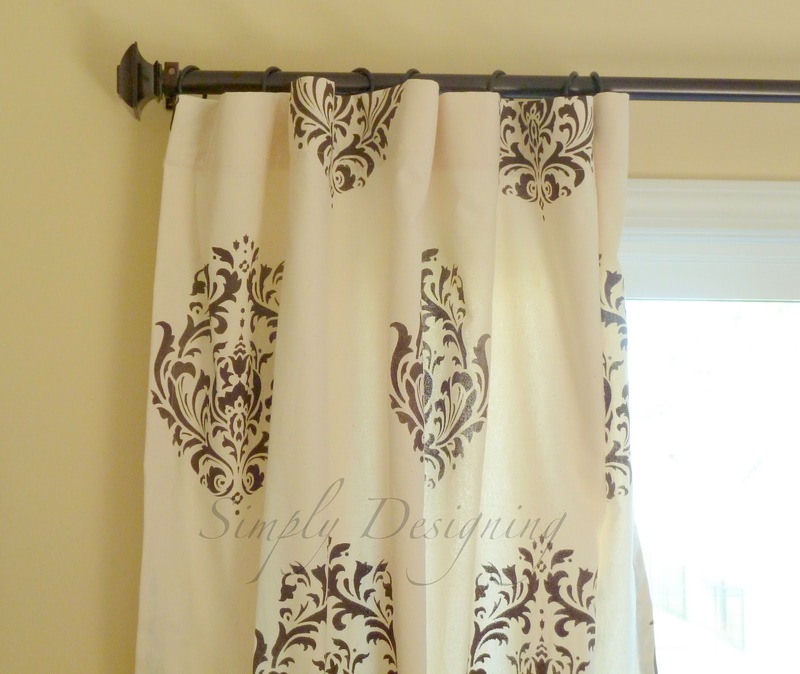 I even added a stiffening material in the top part of my curtain because I wanted it to look a bit more finished and to not stretch from hanging such heavy curtains. 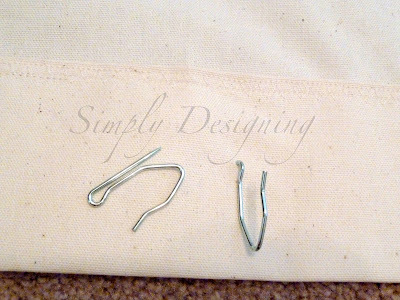 To hang my curtains I used these little metal thingies in the photo below. I’m not sure what they are called, but you can find them with all the curtain making stuff at the fabric store (real specific huh!?) 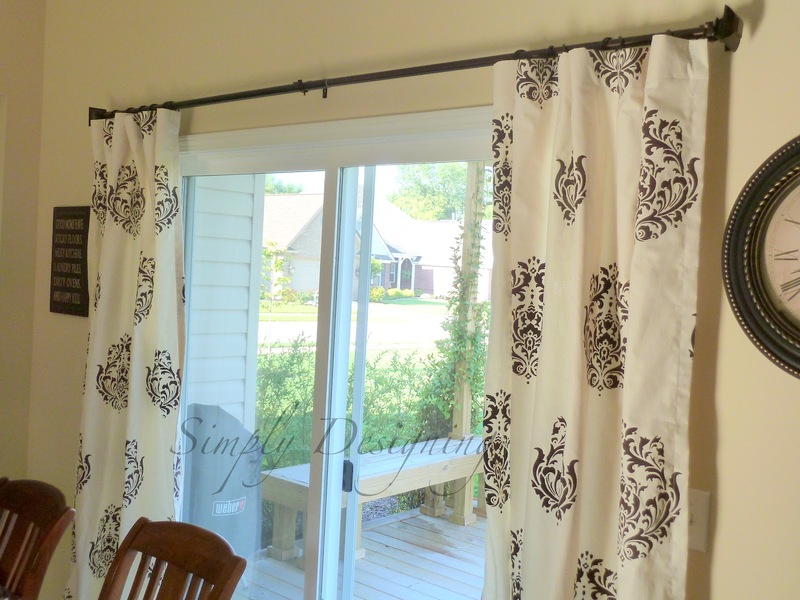 But you basically put one end through the curtain (I put it through the back layer of fabric and my stiffener) and then you have instant hooks in your curtains without having to sew anything fancy! 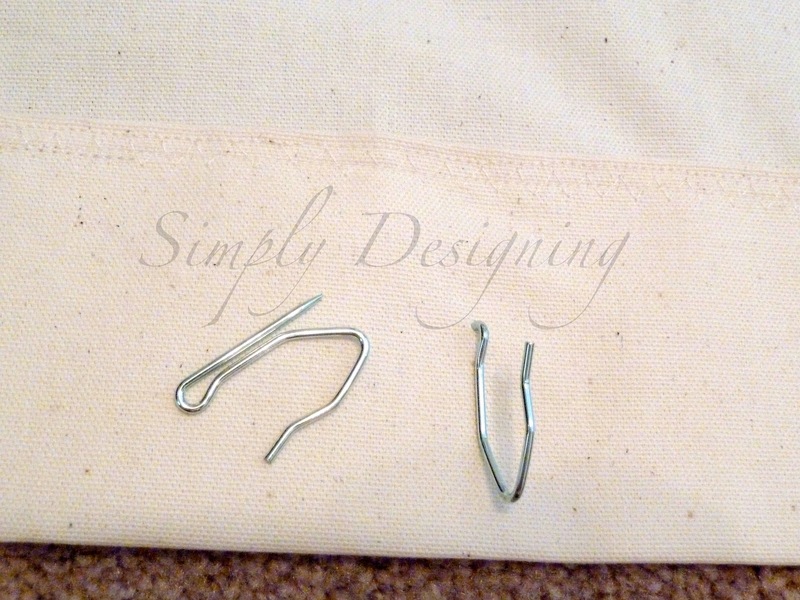 The hooks are placed on my curtain rod rings and easily move back and forth on my curtain rod with very little work! Here is what my curtains used to look like and here are my new curtains!! Huge difference huh!? My kitchen feels lighter, happier and more up to date! I’m not going to lie, I absolutely LOVE the result! Oh….soooooo pretty! Can you tell how THRILLED I am with my new stenciled curtains!!!! I love how the drape at the top too! And these curtains block my blinding afternoon sunlight but still allow some light to come into the room! My final results were fabulous! 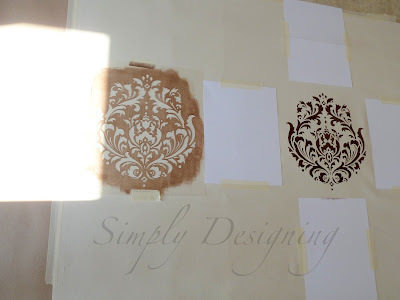 And my verdict on stenciling is that I am officially hooked – I LOVE IT! The final product looks wonderful! 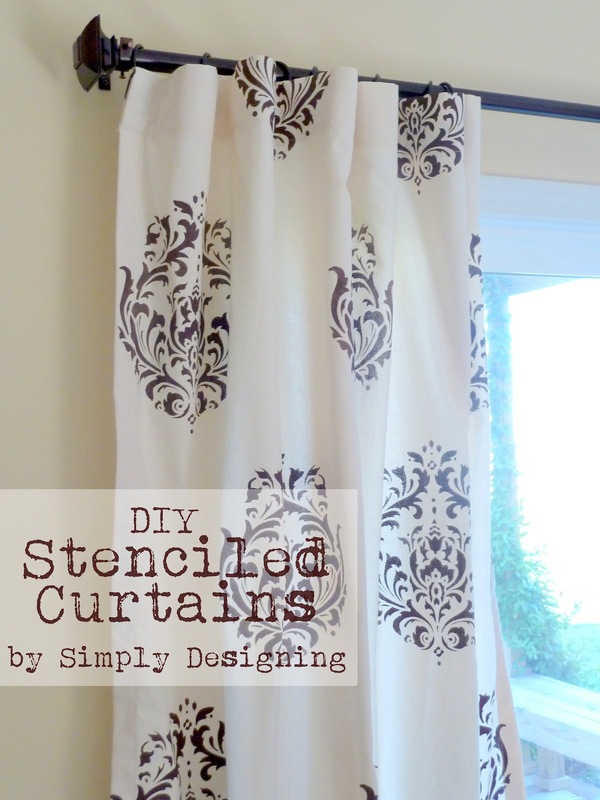 Even my husband commented that you would never know these were stenciled curtains! They look so amazing! The Cutting Edge Stencils stencil was incredibly simple to use, is durable and is a high quality product from a company with a great selection of designs! Cutting Edge Stencil is definitely a company that I would use again! 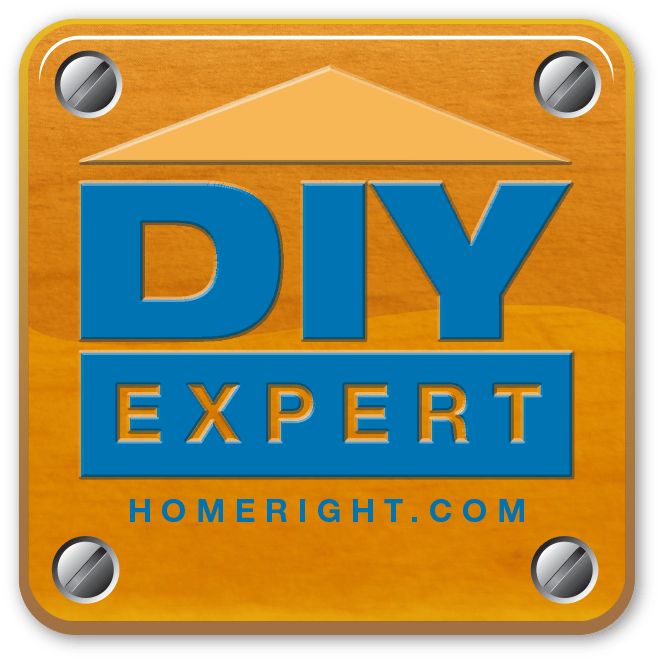 They have wonderful customer service and offer all the information you need in order to pick the perfect stencil for your project as well as offer the best tips and tricks to use your stencil! 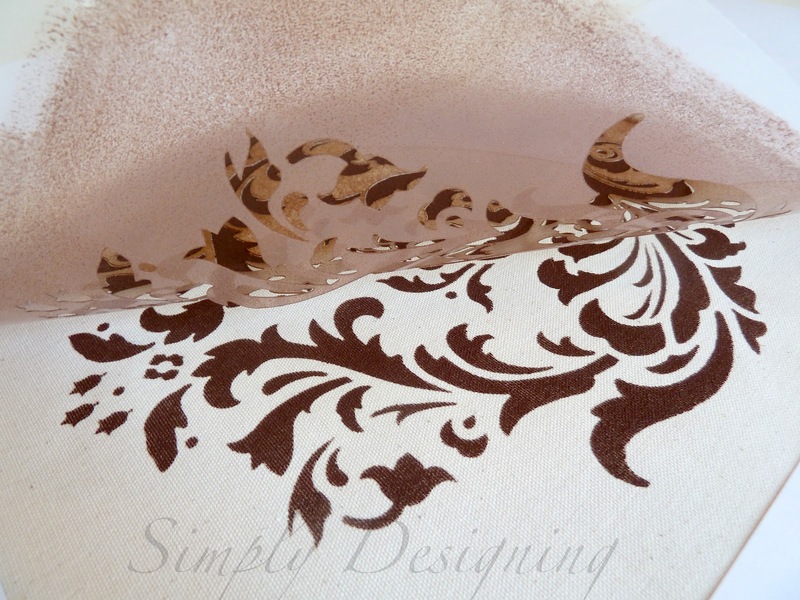 Cutting Edge Stencils is a wonderful resource for stencils and supplies! 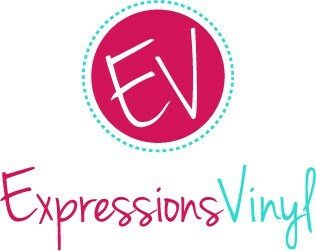 And I highly recommend purchasing stencils and supplies from Cutting Edge Stencils (their foam roller is amazing!). 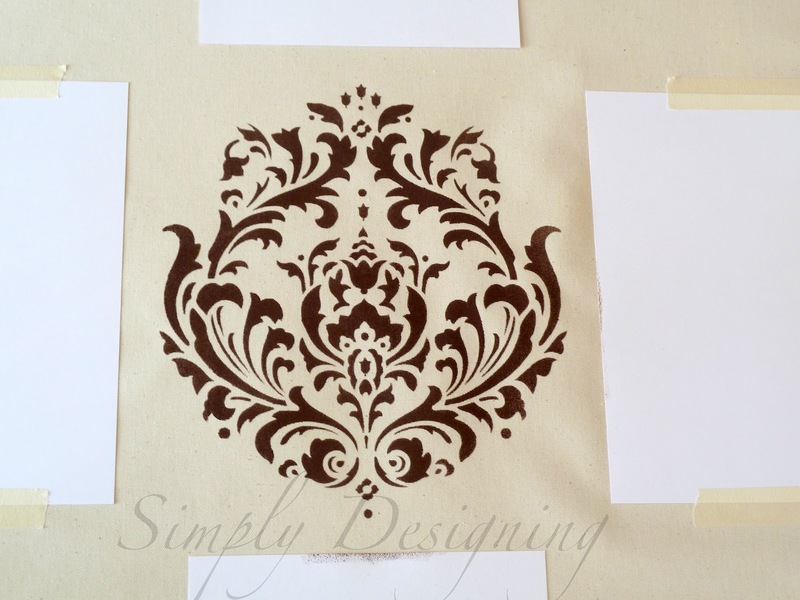 And the best news of all – I get to GIVEAWAY a stencil to you, my amazing fabulous Simply Designing readers!! Leaving a comment on which stencil is your favorite is mandatory and it will unlock extra entries! Remember to click the “enter” button for your entry to count! 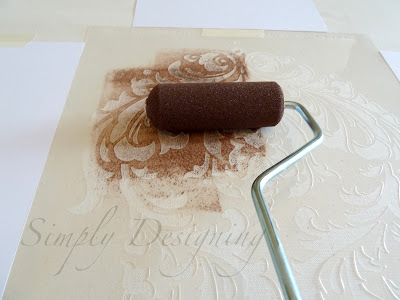 Cutting Edge Stencils Blog is also a great way to keep in touch and you can also find tons of great home decor, wall stenciling and other fabulous decorating ideas! The giveaway will end August 25, 2012 at 12:01am EST. The winner will have three days after announcement to claim their prize otherwise I will select a new winner. 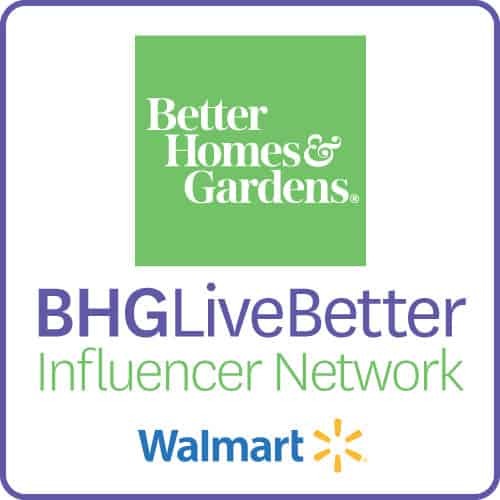 Winner must be 18 years or older to win and a US Resident with a US mailing address. Thanks so much to Cutting Edge Stencils for supporting this post and giveaway! I was given a stencil for purposes of this review, however all comments and opinions are mine. Love the Casablanca allover stencil! Love the paisley all over stencil! I love all the tree nursery stencils. oooo I love a good stencil! love the new &quot;fleur allover&quot; design!! and I have the perfect spot for it!!! i love the allover connection, or maybe the fish scales? 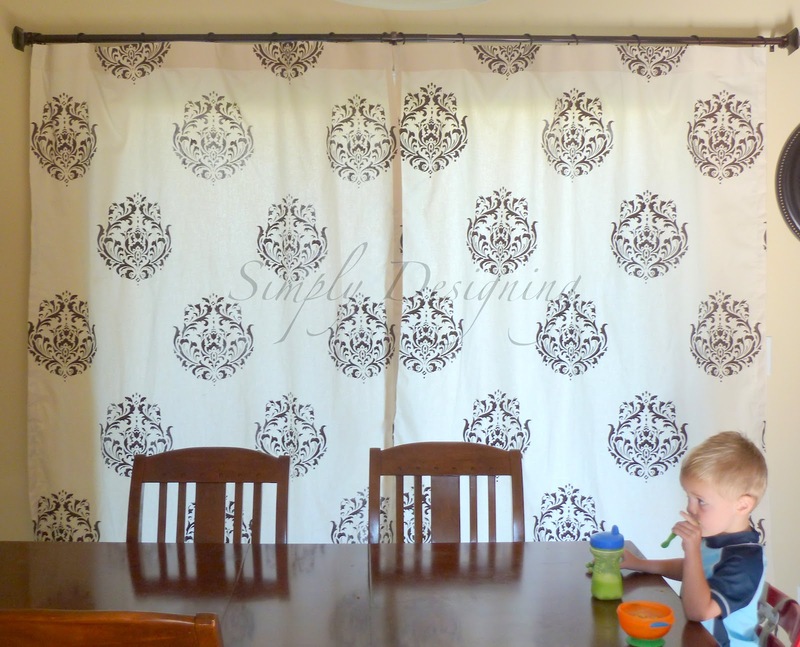 my dining room needs some pattern, so i&#39;d love to try stenciling curtains. yours look absolutely fabulous! paisley all over is always my favorite! this is awesome thanks for doing the giveaway! I like the marrakech trellis. My favorite is the Casablanca All Over stencil. I love the polkadot stencil! I love the paisley stencil the best! 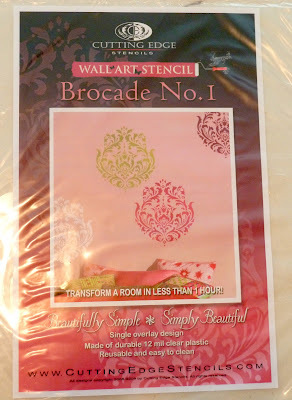 I love the Brocade stencil that you used. That is the one I would choose. Soooo pretty! Zamira allover is my current fave. Seems I find a new favorite every time I visit their site! I love the Trellis Allover Stencil. Hello do I LOVE anything damask. Damask damask DAMASK! Love the Vision All Over stencil! My favorite is the Paisley Allover Stencil! I&#39;ve always been a fan of paisley. Hard to choose but I like either the Nadya or Rose Damask stencil. <br /><br />Lovely job on your curtains! Wow the drapes came out beautiful! I would like to try this with the zinnia grande stencil. Nice job! I love the Rabat Allover Stencil! I like the Parsley Blooms stencil. So many pretty ones to choose from! The Chinese Ginko is my fave, hard to choose one. I love the Zamira allover stencil! Thanks for the giveaway! Fuji allover stencil is so cool! I love the casablanca all over stencil, in fact i have it in my office already! I would love to use Moroccan Dream in my pantry! I would get the allover Rabat stencil for my bedroom! Would love the dandelion stencil for my daughters room! I love the Birch Forest all over stencil. I&#39;m on a HUGE paisley kick lately! damask stencil is my favorite! I love this idea…I am already thinking what stencils will do for curtains that need some updating. I Love the moroccan dream allover stencil. The curtains you did look great. I love the Zinnia Grande stencil! And I love your curtains! You know I love the Casablanca and the Damask! Gorgeous!